This one was a gift from my wife that I received pretty early in my hunt for October/Halloween themed brews. She has a tendency to find things that I might otherwise miss which has lead me to some really interesting brews over the years. Team work! 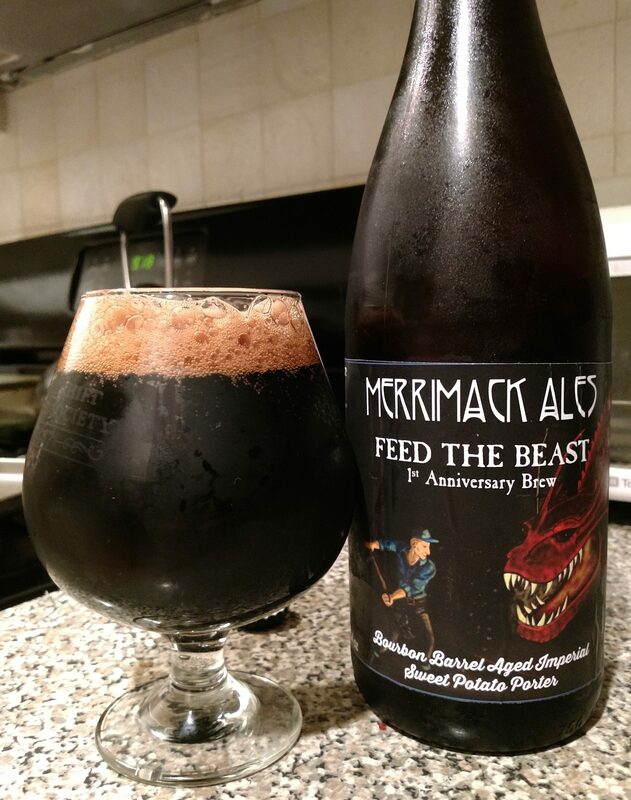 Description: Created in celebration of the brewery’s first anniversary, this porter was aged in bourbon barrels with roasted sweet potatoes, vanilla beans, and lactose. My wife didn’t mention what the bomber cost. Appearance: Dark black body topped by a thick, foamy tan head. Smell: Sweet, with a charred roastiness in the background. Taste: Fleeting moments of sweet, creamy malts and lactose at the very start before a moderate yet distinct smoky, roasted presence took over the beer. The carried through to the finish where it was joined by vanilla bean and a bit of the barrel influence. There was sweetness lingering on the edges of this beer that never quite stood out, nor any bourbon come through with the barrel notes. Mouthfeel: More or less medium bodied, with minimal carbonation. I swear the body got thinner the longer it sat in the glass though. Hype: Nothing in the hype department. I wasn’t familiar with this brewery before I got the beer, though I do tend to have higher than usual hopes for anniversary brews. Overall: I found the taste a bit one-dimensional in that the roasted, smoked characteristics (my guess from the potatoes and vanilla) dominated pretty much right from the start. Since I wasn’t really a fan of that flavor profile, this wasn’t the beer for me. Looking at Untappd I see some pretty polarized opinions on this one; there are a number of 5 star reviews and also a bunch at 2.5 or lower so apparently opinions vary wildly on this one. As for my own views, putting the taste preference aside I would have liked a bit more complexity out of this beer. I had hoped that by letting it sit in the glass for a bit that might happen, but it was not to be as the beer thinned out a lot and lost a good amount of flavor. Really curious what the 5 star reviewers thought of this one.